"Spank the Monkey will not expose the thoughts that you fold and unfold and refold over and over in your mind...He will only whisper his sweet song of deliverance." Inspired by several hundred true stories...and counting. Bimisi Tayanita says it all, without saying much of anything. If you are not choking on laughter midway through this book, don’t bother with books 4 and 5...maybe this isn’t for you. We can part ways now and still be friends. 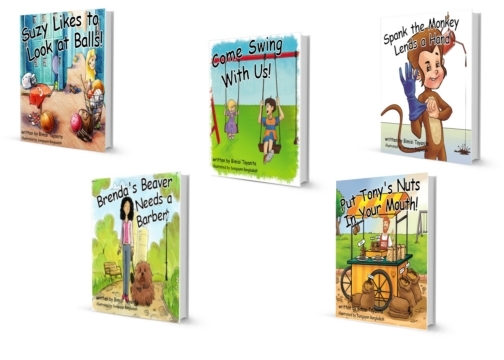 "Spank the Monkey Lends a Hand" is a fun and light hearted story that everybody can relate to, except for you of course...you have no idea what everybody is laughing about (wink, wink). 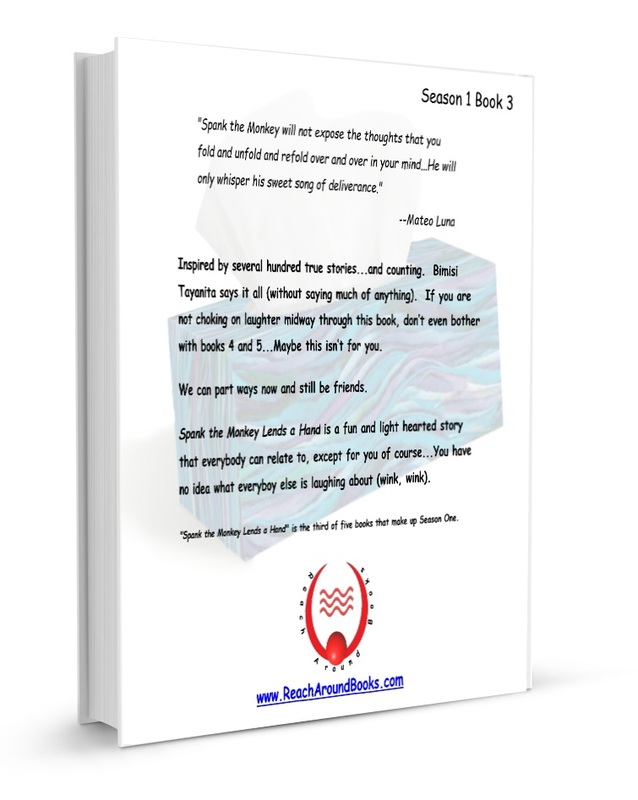 “Spank the Monkey Lends a Hand” is the third of five books that make up season one. Everyone who pre-orders the Reach Around Books--Season One box set will receive a highly collectable bumper sticker and fridge magnet with their order at no additional cost! These brilliant consumers will also be given "First-Fan" status in the Reach Around Book club and will enjoy things like alternate endings, sneak peeks, early delivery and discounts on upcoming seasons...and of course FREE STUFF. Bimisi, what is your phone number? Spank is everyone’s best friend that they don’t like to talk about! I love how this bedtime book illustrates just how helpful he is! Kid's book? Sure, why not...? You know a kid’s book is funny when you are still laughing days after reading it! Is there a Spank fan club? My friends and I want to know where we can get Spank the Monkey t-shirts. I celebrate Spank the Monkey and the hand he lends. This book is pure comedic genius!